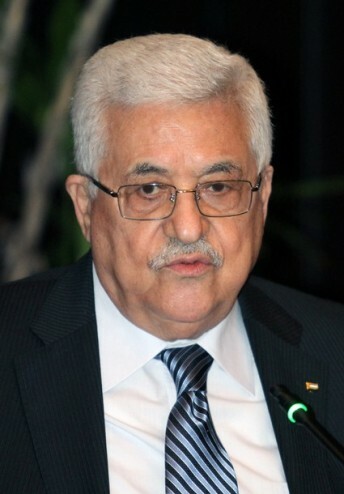 December 04, 2010 (KATAKAMI / YNET) — Prime Minister Benjamin Netanyahu spoke Saturday with Palestinian President Mahmoud Abbas, who expressed his condolences to the people of Israel over the Carmel wildfire and said he would give Israel any help required. A Dagestan Airlines plane skidded of the runway at Moscow's Domodedovo airport. Archive. December 04, 2010 (KATAKAMI / RIA NOVOSTI) — Two people were killed and 40 were injured when a Dagestan Airlines plane skidded of the runway at Moscow’s Domodedovo airport during an emergency landing, Russian Emergencies Ministry spokesman said. “According to the latest information, two people were killed and 40 were injured after the emergency landing,” the spokesman said. Sixty rescuers, fire fighting brigades and psychologists are working on the scene, the spokesman said. A source in Domodedovo airport said about 50 people, including those severely injured are being sent to hospitals. “The passengers from the plane were sent to the airport building to be examined by the medical staff. People with more serious wounds are being sent to hospitals,” the airport official said. A source in Dagestan Airlines said the reserve aircraft was ready to send the passengers from the troubled plane to Dagestan. Dagestani aircarrier has yet to give official comments. December 04, 2010 (KATAKAMI / Reuters) – A Russian plane carrying 155 passengers rolled off a runway while making an emergency landing at Moscow’s Domodedovo airport on Saturday, killing two people and injuring dozens, Interfax news agency reported. The Tupolev liner, operated by Dagestan Airlines, took off from Vnukovo Airport, also outside Moscow, and made an emergency landing after all three of its engines failed, news agencies reported. 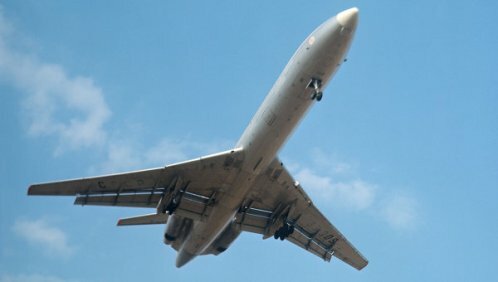 “According to preliminary information two people have died as a result of the emergency landing of the Tu-154 at Domodedovo Airport, and tens were injured,” Tatiana Morozova, spokeswoman for Moscow’s regional investigative committee for transport, told Interfax. PM Benjamin Netanyahu speaks with Swiss president; Russia, Greece, Turkey, France, US, Britain, other countries send equipment and planes. 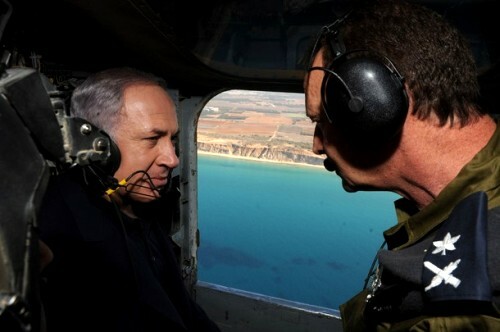 December 04, 2010 (KATAKAMI / JPOST) Prime Minister Benjamin Netanyahu on Saturday continued his efforts to secure additional fire-fighting equipment from foreign nations, according to the PMO. On Saturday, the prime minister spoke with Swiss President Doris Leuthard and requested fire-fighting planes from Switzerland. 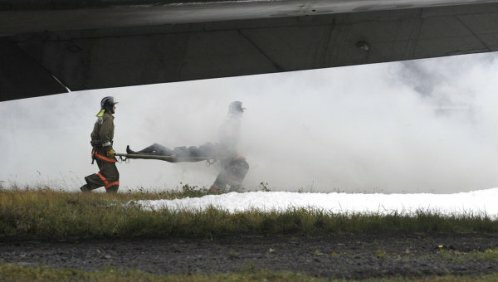 Russia sent a detachment of high-ranking firefighter officials comprised of 24 personnel, including the deputy head of the Russian emergency situation branch, and two fire-fighting airplanes. On Friday, Netanyahu spoke with the heads of state of Russia, Germany, Turkey, Britain, Norway, Finland, Belgium, the Ukraine and the United States. He thanked his Turkish counterpart, Recep Tayyip Erdogan, for sending airplanes to help battle the Carmel brush-fire which had already claimed more than 40 lives. “I really appreciate Turkey’s help, we will find a way to express our appreciation.” The prime minister’s comments came during a visit to the Carmel fire injured at Rambam hospital in Haifa. 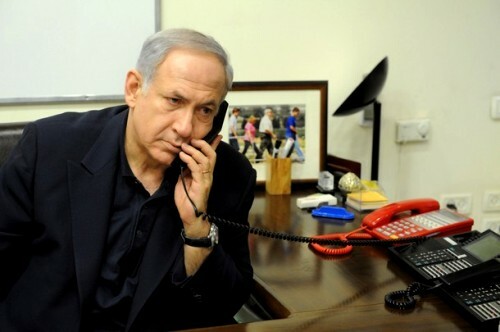 Netanyahu also spoke with Russian Prime Minister Vladmir Putin, and thanked him and his country for their assistance in the effort to control the deadly forest fire. The prime minister also praised Israeli rescue workers, the IDF, the Israel Prisons Service, and hospitals around the country. Alsoon Friday, Netyanyahu thanked his otherinternational counterparts for planes, firefighters, supplies and fire retardant chemicals sent to assist efforts to control the huge forest fire. 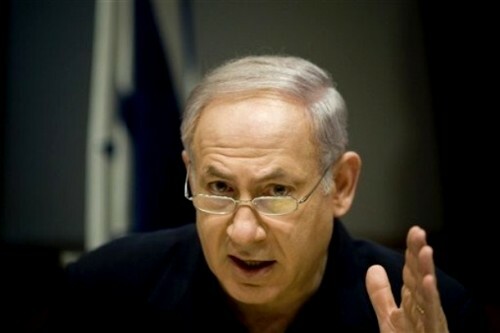 In a press conference held after an emergency cabinet meeting in Tel Aviv, Netanyahu mentioned Greek Prime Minister George Papandreou, who he called a “real friend,” as well as Cypriot President Dimitris Christofias, British Prime Minister David Cameron and Bulgarian Prime Minister Boyko Borisov . The international aid effort is being coordinated by Foreign Minister Avigdor Lieberman and the Foreign Ministry, Netanyahu said, adding that the option of bringing in more supplies from Canada and the US was being considered. He said that the cabinet had a national plan which would be implemented in the coming days. The foreign minister also referred to international aid which was being flown in to help Israeli efforts controlling the fire. Four Greek aircraft, four from France, three from Britain, two from Spain, two from Russia, two from Turkey, two from Cyprus, two from Bulgaria, one from Croatia and one from Azerbaijan were expected to arrive by noon, Lieberman said. December 03, 2010 (KATAKAMI / PRIME MINISTER’S OFFICE) — “We have just heard a briefing by the professional elements and the responsible ministers. I would like to thank Public Security Minister Yitzhak Aharonovitch, who is in command on behalf of the Government, for all of the activity there. We are in a very harsh event. We have over 40 dead. People are missing; people are injured. Many of these people perished in admirable courage and sacrificed themselves in order to save others. I would like to note our participation in the families’ grief and we send wishes for a rapid recovery for the wounded. 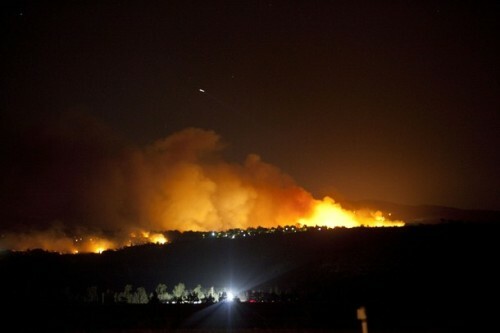 We know that approximately 15,000 Israelis have been evacuated from their homes. We support them and we will take care of them. We will see to all the rebuilding, renovation and compensation as necessary in order to restore them to normal life. We will rehabilitate the Carmel with as national reconstruction plan. I would like to praise the work being done in the field that is being carried out with exemplary cooperation. I would like to thank the Israel Police, the Fire and Rescue Service, the IDF, MDA, the hospitals and the Prison Service – which suffered a terrible blow; we are will with the families of the Prison Service personnel. I would also like to thank Israel’s citizens who have shown patience and equanimity, and are heeding directions in an exemplary manner, and therefore, it is possible to realize our first goal. Our first goal is that there be no more loss of life. To this end, I gave instructions yesterday, which are being carried out, for evacuations whenever there is even the slightest concern that the fire might reach communities or neighborhoods. This is being carried out in an exemplary manner. The second thing is to recognize the fact that our firefighting measures cannot provide an answer to forest fires of this magnitude, especially in the face of such winds. We do not have such equipment. Only airborne forces have such equipment and since yesterday we have been in contact with many foreign governments, in cooperation with the Foreign Ministry and Foreign Minister Avigdor Liberman, in order to bring these forces to Israel. At this stage, four aircraft have arrived from Greece. I would like to thank my friend and colleague, Greek Prime Minister George Papandreou, who responded immediately, and the mobilization here is exceptional, with all the crews and their logistical support. I would also like to thank Cypriot President Demetris Christofias for dispatching a plane and a helicopter. The response was immediate, the aircraft are here. I would also like to thank UK Prime Minister David Cameron. Two British helicopters from Cyprus are here. All of these forces are helping us. UI would like to thank Turkish Prime Minister Recep Tayyip Erdogan, who offered and sent two planes, which are here; we welcome this. I would like to thank Bulgarian Prime Minister Boyko Borissov for sending 100 firefighters, who are here. I would like to thank Russian Prime Minister Vladimir Putin who sent a very large Russian plane, perhaps the largest of its kind in the world, which is en route. It will be here this afternoon. We have also received aid and very generous offers of assistance from Egypt, Azerbaijan, Spain, Croatia, France and Jordan. I think that this symbolizes the unprecedented response to my appeal, to our appeal, for international assistance. This is important to the State of Israel in every respect, especially that of putting out the fires. We are also in contact with the US. We are checking into the possibility of bring more planes here, if it becomes necessary, and from Canada as well. We have already hired an American plane from a private company, a ‘supertanker’ that will arrive here tomorrow afternoon. We are in he midst of a disaster of international proportions and we must use all forces, first of all to extinguish the fire; that is the first goal. World responds to Prime Minister’s request for firefighting aircrafts; 21 aircrafts have arrived so far with more landing throughout the day. December 04, 2010 (KATAKAMI / HAARETZ) — The battle to stop the fire will be determined in the air, Prime Minister Benjamin Netanyahu said on Saturday morning, referring to the firefighting aircrafts which have arrived from countries across the world in order to aid Israel as it fights to stop the worst wildfire in the country’s history. The prime minister’s office and the Ministry of Foreign Affairs are continuing to be in contact with other countries to discuss bringing more firefighting aircrafts to Israel. As of Saturday morning, 21 firefighting aircrafts from different countries across the world had arrived in Israel. Of that number, 13 of them are currently in the air, working to contain the fire. The countries that have sent aircrafts to aid Israel include: Greece, who sent four aircrafts, Cyprus, which sent a plane and helicopter, Britain, which sent two helicopters, and Turkey, which sent two aircrafts. 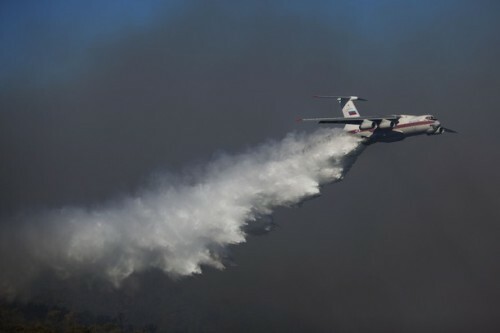 Russia sent four aircrafts, one of which us the largest of its kind in the world, with the ability to hold up to 42,000 liters of water.The prime minister’s office and the Ministry of Foreign Affairs are continuing to be in contact with other countries to discuss bringing more firefighting aircrafts to Israel. Russia sent four aircrafts, one of which us the largest of its kind in the world, with the ability to hold up to 42,000 liters of water. An Italian aircraft carrying 100 tons of flame retardant arrived as well as a plane from Bulgaria long with 100 Bulgarian firefighters has also arrived to help battle the fire. More planes and flame retardant are expected to be landing throughout the day on Saturday, including from the United States, France, Azerbaijan, and Spain. 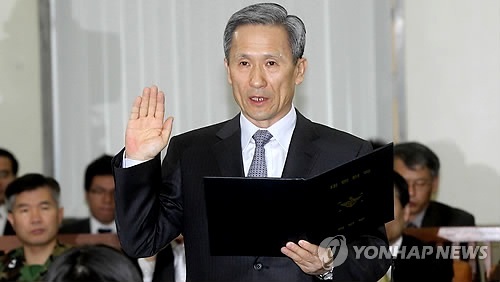 SEOUL, Dec. 4 (KATAKAMI / Yonhap) — Kim Kwan-jin, former head of South Korea’s Joint Chiefs of Staff, was named the country’s new minister of defense on Saturday. Cheong Wa Dae formally appointed the retired four-star Army general as the country’s new defense chief, after Kim went through a confirmation hearing Friday. Kim, 61, replaces Kim Tae-young, who came under fire over the military’s allegedly inadequate and late response to North Korea’s deadly shelling of South Korea’s Yeonpyeong Island near the tense Yellow Sea border on Nov. 23. During his hearing, Kim Kwan-jin vowed to respond with air strikes in case of additional North Koran provocations. The attack on Yeonpyeong killed two South Korean marines and two civilians, while forcing residents to evacuate their homes. It was the first North Korean strike on a South Korean civilian area since the 1950-53 Korean War. The two countries remain technically at war since the Korean War ended in an armistice, not a peace treaty.